HBO NOW: Everything you need to know! You can watch everything HBO broadcasts, including Game of Thrones, without a cable subscription with HBO NOW! 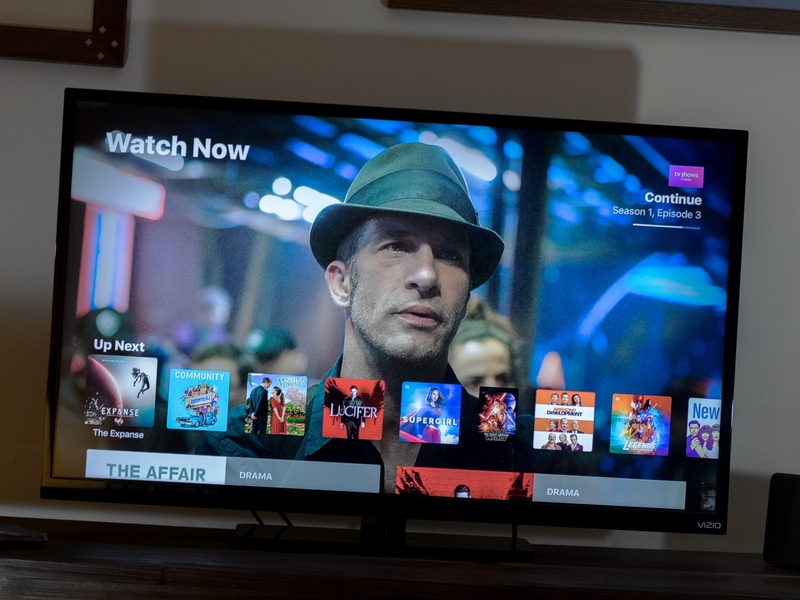 If you're a cord cutter, you probably keep an eye out for ways you can get great TV and movie content without having to pay a premium price for hundreds of channels you will never watch. With HBO NOW, you can stream every original show, licensed series, and movie that the premium channel has to offer, and you don't have to subscribe to cable to get it. Here's everything you need to know about HBO Now. What's new with HBO NOW? HBO added virtual reality support for its streaming content. You can connect your Daydream View headset to your compatible phone (Google Pixel, Pixel XL, Motorola Moto Z, Moto Z Droid, Moto Z Force Droid) and use the HBO NOW VR app to watch shows in VR using your HBO NOW subscription. So what is HBO NOW all about? HBO NOW is a standalone subscription service from HBO that gives you access to everything HBO offers. That includes all TV shows — original and licensed — all movies, all sports content, all documentaries. Whatever cable subscribers get with HBO, you get with HBO NOW. You can watch HBO NOW streaming content on a variety of supported devices, like Apple TV, iPhone and iPad, and on your computer. HBO NOW is currently only available in the U.S. and some U.S. territories. What's the difference between HBO NOW and HBO GO? The short answer is cable. If you have a cable subscription that includes HBO, you do not need HBO NOW. You can have the same access, including streaming mobile and on multiple devices simultaneously, with HBO GO as you do with HBO NOW. If you subscribe to HBO through your cable provider, you do not need HBO NOW. So I don't even need a cable box? Nope. HBO NOW is accessible via an app that you can download on phones, tablets, set-top boxes, gaming consoles, and more. You can also access your HBO NOW account and stream content by visiting HBONOW.com from a supported browser (Safari, Chrome, Firefox, Internet Explorer, and Microsoft Edge). HBO NOW will set you back $14.99 per month if you subscribe directly through the app or at HBONOW.com. If you're a student, you can subscribe to HBO NOW for only $9.99 per month. If you're going through one of the live TV streaming services, like Sling TV or DirectTV Now, you can get it for as low as $5 extra per month (DirectTV Now has the cheapest á la carte pricing). You can sign up for HBO NOW through the app on a supported device. The app is available from Apple's App Store for iPhone, iPad, and Apple TV. It's also available from Amazon, on Google Play, and for Roku, Samsung Smart TV, and more. You can also subscribe to HBO NOW through your internet provider, if your provider is either Frontier, Google Fiber, Liberty Optimum, Service Electric, or Verizon. Once you've downloaded and installed the HBO NOW app on a supported device, you'll be able to sign up starting with a free one-month trial. Once your 30 days are up, you'll be charged a monthly subscription fee. You'll need to provide your name, email address, and zip code. You'll also need a valid credit card on file and you'll need to confirm that you're over the age of 18. Which devices can I watch HBO NOW on? HBO NOW is available on a pretty good-sized list of devices. Mac or Windows PC with supported browser. Many! Well ... HBO doesn't specify exactly how many, but you can stream TV shows and movies on HBO NOW on multiple devices in the same local Wi-Fi network without issue at all. Things get a little dicy when any device streaming HBO NOW content is outside of your home's Wi-Fi network, especially if its someone else Wi-Fi and not just streaming from your cellular data. That's because HBO doesn't want you giving away all its content to your buddies. If there are too many devices trying to stream content from HBO NOW at the same time in different places, you might receive a notification that you've exceeded the number of simultaneous streams you are allowed. If that happens, you'll have to sign out and back into the app and maybe restart your devices. Chances are, it won't happen to you as long as you aren't giving away your HBO NOW login credentials to all your friends. Can I give a subscription to HBO NOW as a gift? You can! You can buy an HBO NOW gift card at a participating retail location to put toward your own subscription or to give as a gift that someone else can use. HBO NOW gift cards are available at Best Buy, Walmart, GameStop, and a few other locations. When you get a gift card for HBO NOW, you can add the amount to your subscription by entering the 10-digit number on the back at HBONOW.com/gift. You can redeem multiple gift cards for one account. The new amount is added to your subscription, so your next payment is delayed another month. If you or the person you're buying the gift card for has never signed up with HBO NOW before, you don't have to use a credit card when you first sign up. You can enter the 10-digit gift card code instead. If you are eligible for the free one-month trial, that free trial will begin after the gift card amount is used up. When your gift card is all used up, your subscription to HBO NOW will end, but you will be offered the chance to renew your subscription without losing any of your streaming activities. Do you have any questions about what HBO NOW is, how it's different from HBO GO, or how to sign up for the streaming service? Put them in the comments and we'll help you out.